Wordpress is one of the most popular blogging and cms products in the market and Virto Commerce is the most cutting edge eCommerce product. Both are open-source and is a great fit. 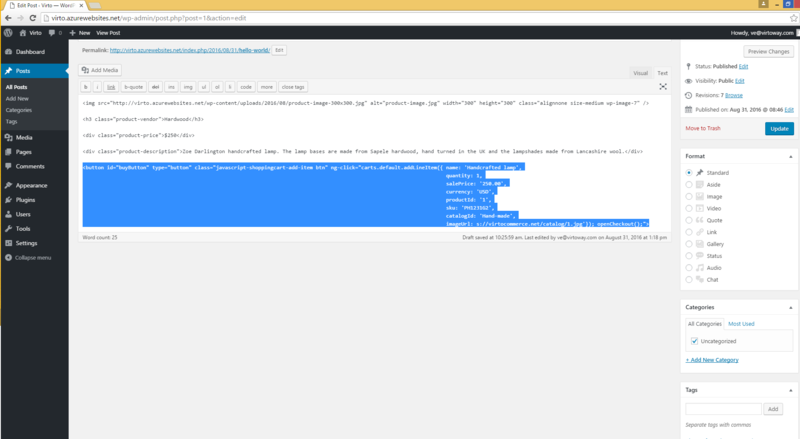 Virto Commerce can be easily used within your Wordpress site. 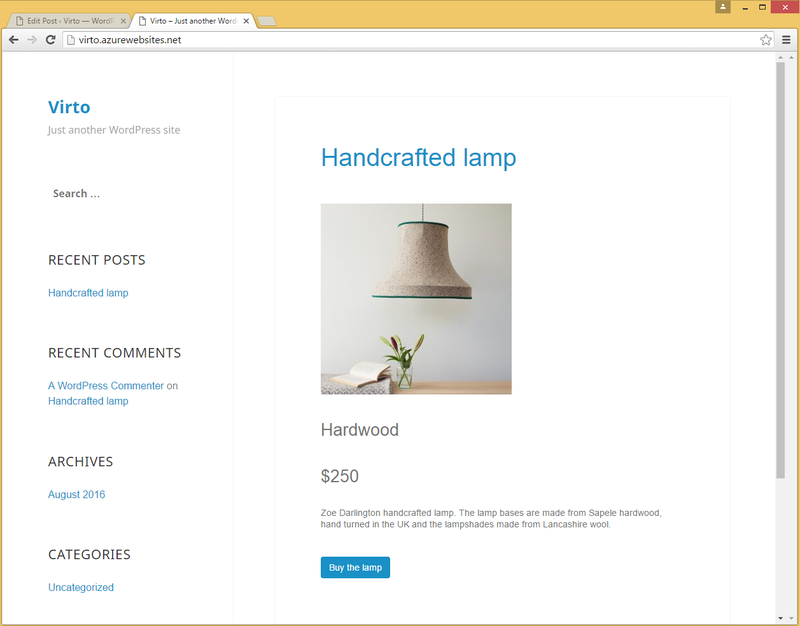 Now create a new blog post and add buy button. 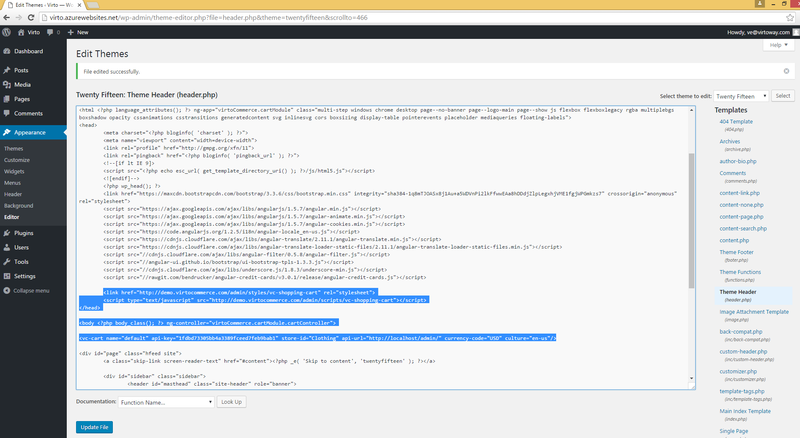 You are ready to sell using Virto Commerce and Wordpress! Simply navigate to your blog post and you should be able to purchase the product. 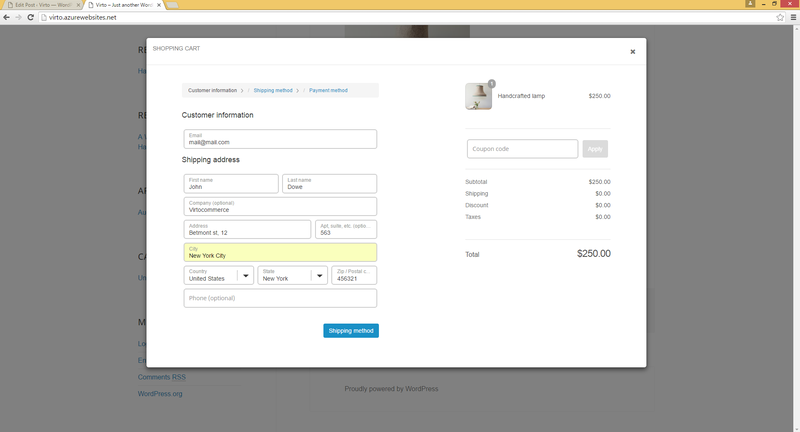 When you click the button you will see a modal which contain standard checkout with all available steps.